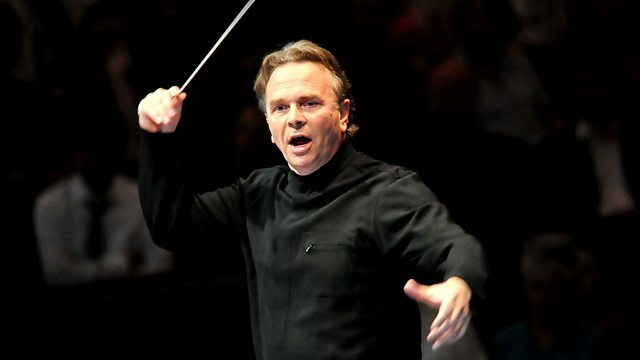 A Prom featuring the Aldeburgh World Orchestra under Mark Elder. Britten: Sinfonia da Requiem. Mahler: Adagio (Symphony No 10). Charlotte Bray: At the speed of stillness. Mark Elder directs the Aldeburgh World Orchestra, a brand new ensemble of young musicians brought together from every continent, in music by Britten, Mahler and Stravinsky, plus a newly commisioned work by Charlotte Bray. Chosen by audition, and with a strict limit of twenty musicians from each continent, the orchestra has convened for three weeks in the Suffolk fishing town forever associated with Benjamin Britten. The programme begins with Britten's Sinfonia da Requiem, both a private memorial to his parents and a reaction to the developing menace of war. That's paired with two classic orchestral scores from the early twentieth century, which, though written just a few years apart inhabit completely different realms. The luxuriant Adagio from Mahler's Tenth symphony contrasts with the scandalous barbarities of Stravinsky's Rite but both have become musical icons. And before the Stravinsky comes a new work by one of the UK's most exciting new composing talents and one who already has an impressive list of international commissions to her name.